We love to try new wines! 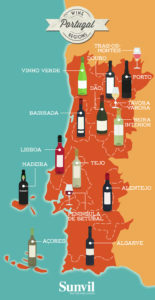 This summer finds us in Lisbon, Portugal the heartland of beautiful wines of Portugal. The people are fun loving, open and bold – just like their wine! By trying international wine, we are able to taste and improve our own wine. So each vintage year continues to be a unique and a special blend with our clients in mind. Why do we plant cover crop to the El Rey Wine vineyard?